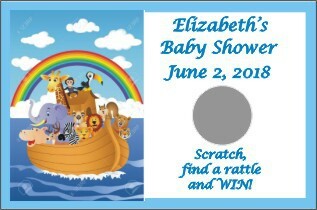 Our precious Personalized Scratch & Win tickets are a game and a favor all in one. Scratch off, lottery style tickets are even better because they’re personalized. (Don't forget to browse our extensive line of gifts and favors for a fabulous prize for the lucky winner.) 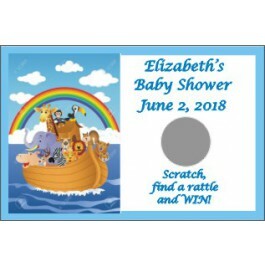 You choose the design and personalize it for a unique, cute as can be game (and favor) for your baby shower! Pass out a card to each guest, set at each place setting, or have guests draw a card out of a bowl. Award a prize to the winner. Instant fun!